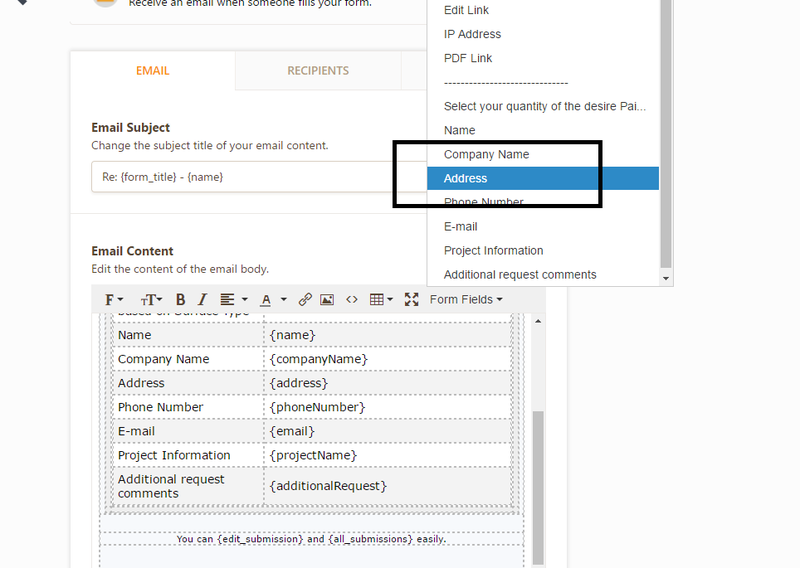 Can you set up email notifications by postal/zip entered? I'd like to send notifications based on zip / postal codes entered into my form (i.e. someone enters 12345 it sends a notification to X, but if someone enters 12346 it goes to Y). I only see 'Shipping Address' as the field you can utilize, but would be ideal to be able to utilize postal / zip. Unfortunately, it is not possible to set a condition to redirect the email notification based on the ZipCode field in the Address. At the moment, we can set the condition based on the country field only. However, you may consider using a separate field on the form for Zip code so that you may setup a condition to redirect the email notification to a different recipient. Please refer to the guide below that can help you with setting a condition for notification.